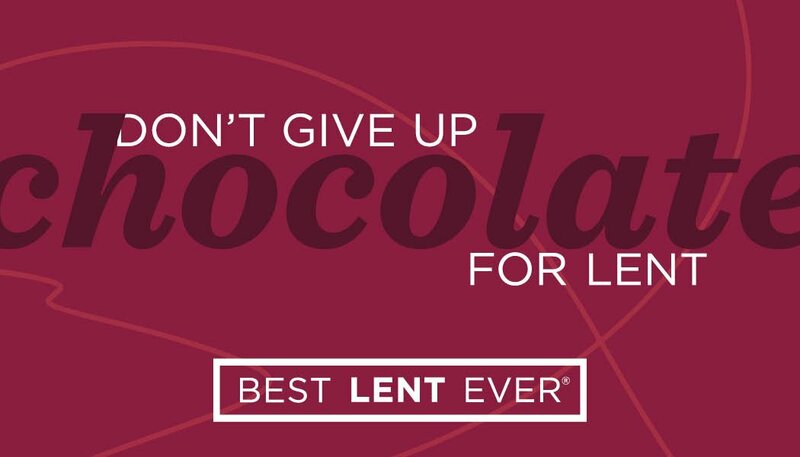 Use these materials to spread the word about BEST LENT EVER in your parish! Announcements are available in different sizes for you to use in your parish bulletins and newsletters. 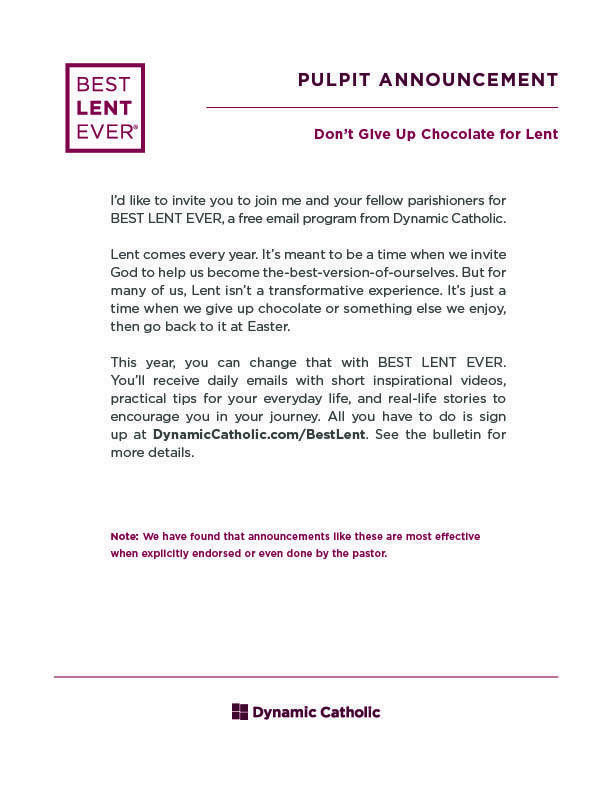 Promoting BEST LENT EVER during Mass can really grab your parishioners’ attention and generate interest. We have found that these announcements are most effective when explicitly endorsed by the pastor or even delivered by the pastor himself. 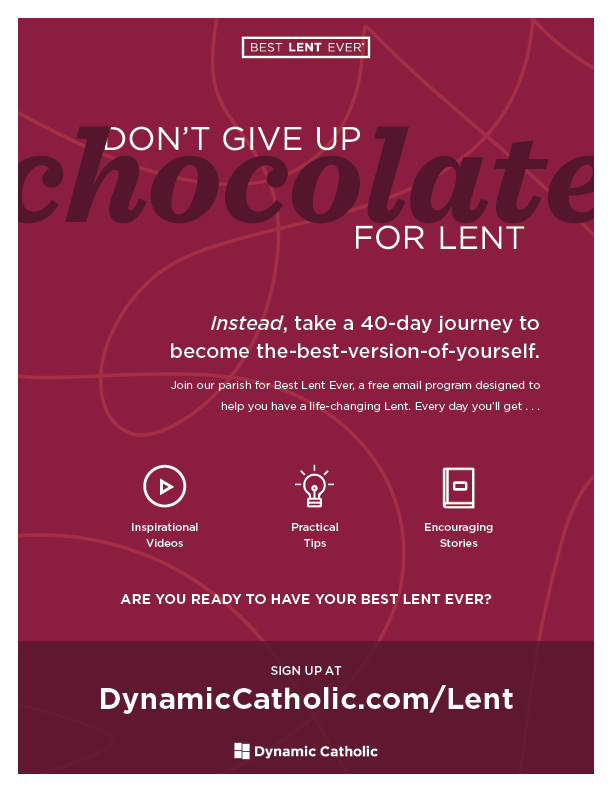 Download this announcement and use it at masses leading up to Lent, as well as at Ash Wednesday masses or services. 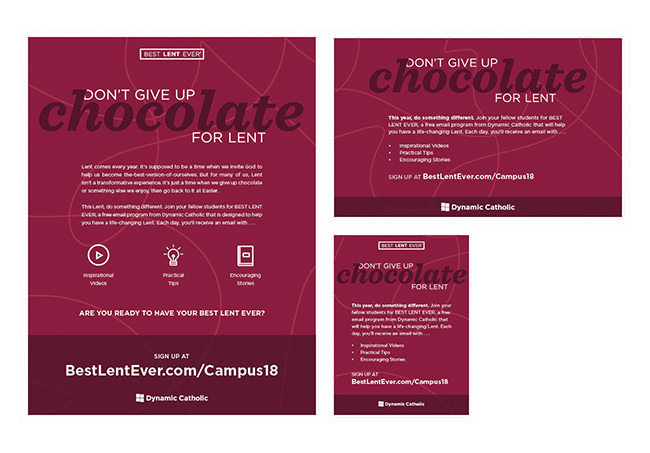 These little promotional cards are a simple way to encourage and remind your parishioners to sign up for the program. And they’re easy to distribute. There are extra cards available in quantities of 250—perfect for distributing to people at Ash Wednesday masses and services. Order your free cards online or call to request them at (859) 980-7900! You can hang these 8.5” x 11” flyers at your parish or hand them out after Mass or at smaller parish events. Print this 11” x 17” poster and hang it at your parish or even at restaurants and community areas in your town. 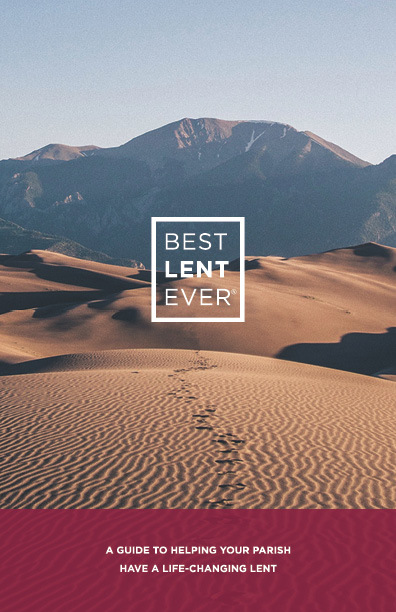 The BEST LENT EVER Program Guide is a great tool to give to your pastor or other parish staff who want to learn more about BEST LENT EVER. 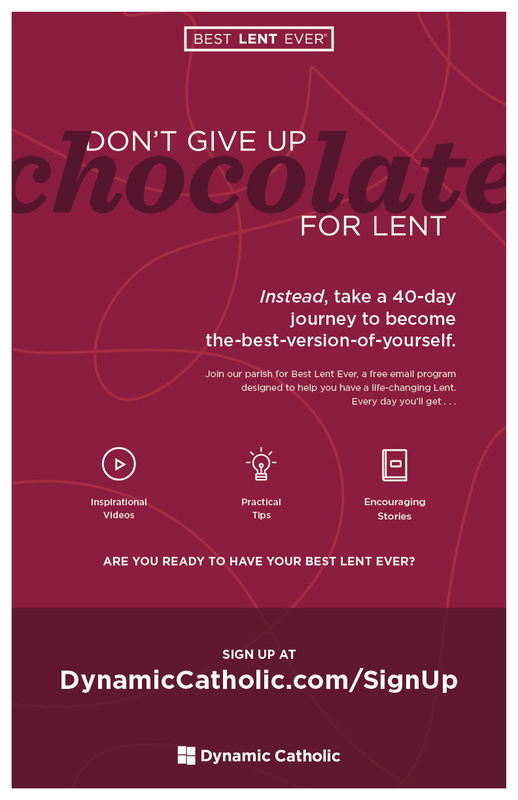 It’s easier than you think to invite your parishioners to sign up for BEST LENT EVER. Just fill in your information below and we’ll send you a pre-designed email that you can forward to everyone in your parish. 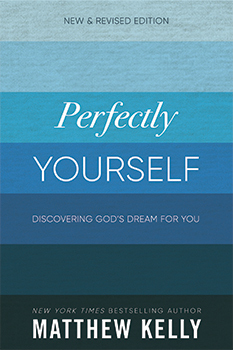 This year’s BEST LENT EVER program is based on the newly revised edition of Perfectly Yourself by Matthew Kelly. This easy-to-use Perfectly Yourself study guide will help groups and individuals dive deeper into the book and the program.